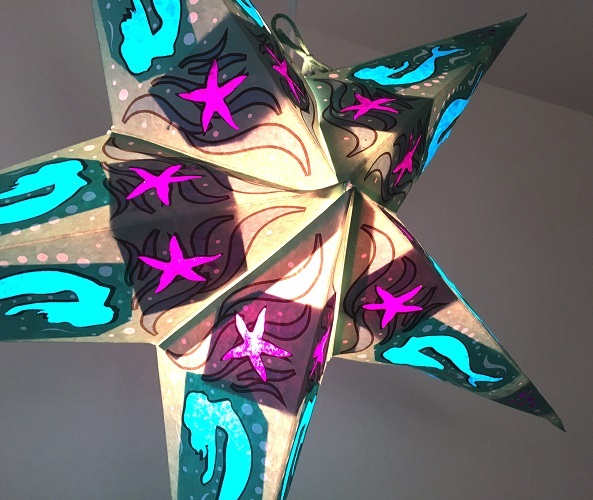 The Mermaid Star Lamp has a teal background with mermaid cutouts that are backed in dark blue tissue paper. 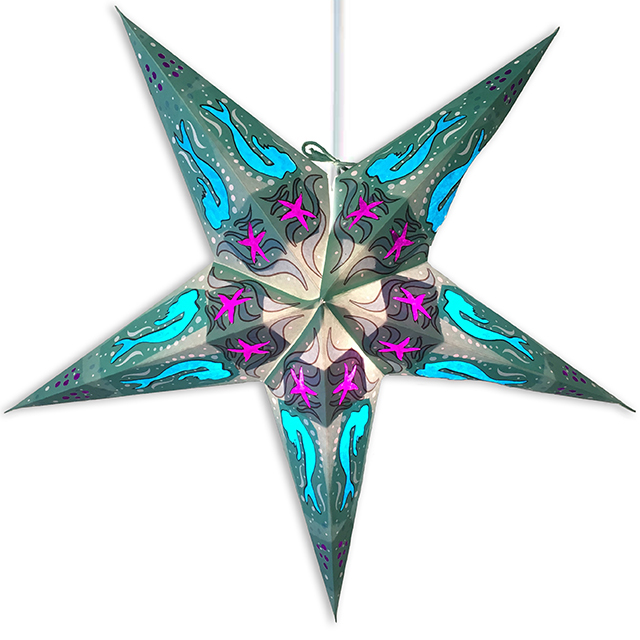 Star also has water drops and starfish cutouts backed by purple tissue. Measures about 24" from tip to tip, about 6" deep. Ships flat with complete instructions. 12' cord with on/off switch optional for a little extra. 40 watt lightbulb not included.